August 16th, 2016 | News and Events, Wheaton World Wide Moving. 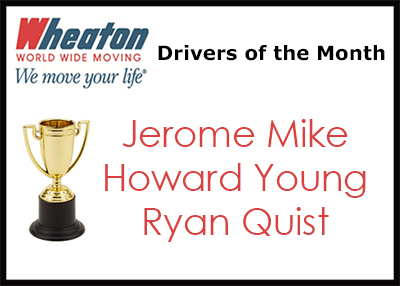 The following drivers have been selected as the August 2016 Drivers of the Mont Direct Lease Driver of the Month,… Continue reading. 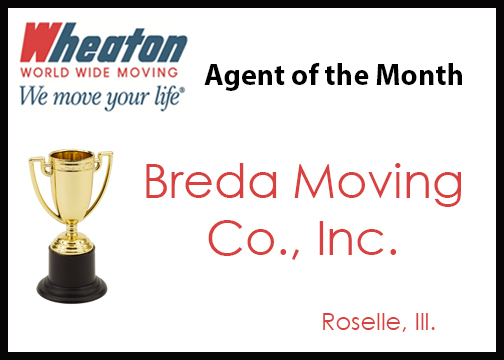 ROSELLE, ILL. – Breda Moving Co., Inc. is Wheaton World Wide Moving’s Agent of the Month for July 2016. The… Continue reading. July 19th, 2016 | News and Events, Wheaton World Wide Moving. The following drivers have been selected as the July 2016 Drivers of the Month: Direct Lease Driver of the Month,… Continue reading. June 29th, 2016 | News and Events, Wheaton World Wide Moving. WALDORF, Md. – Rainbow Moving & Storage is Wheaton World Wide Moving’s Agent of the Month for June 2016. The… Continue reading. June 22nd, 2016 | News and Events, Wheaton World Wide Moving. Wheaton World Wide Moving recently hired Paul Salmon as the Eastern Regional Sales Director. Salmon will oversee the growth of… Continue reading. The following drivers have been selected as the June 2016 Drivers of the Month: Direct Lease Driver of the Month,… Continue reading. 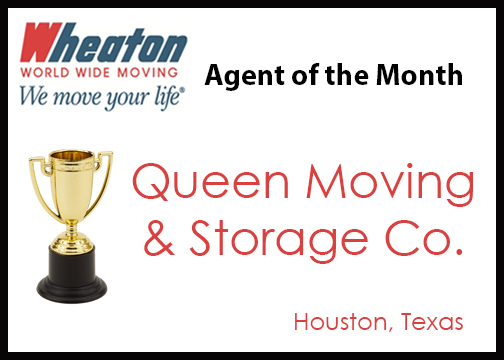 HOUSTON – Queen Moving & Storage Co. is Wheaton World Wide Moving’s Agent of the Month for May 2016. The… Continue reading. June 2nd, 2016 | News and Events, Wheaton World Wide Moving. 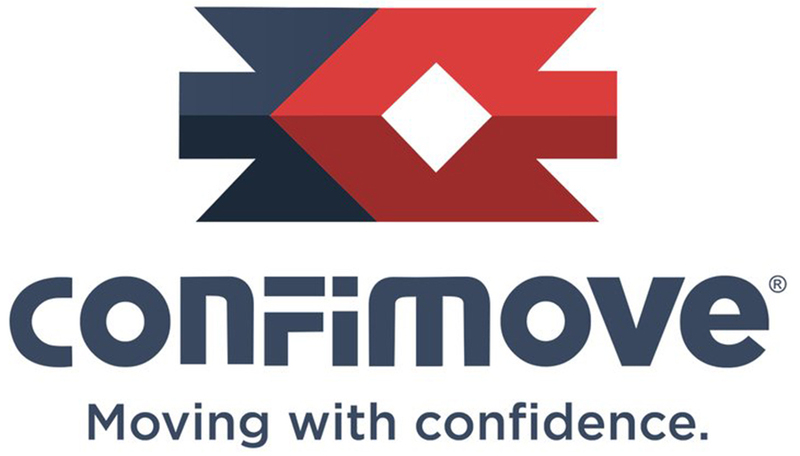 Miami ─ Confimove recently joined Wheaton World Wide Moving agency network of more than 200 agents across the country. Previously… Continue reading. The following drivers have been selected as the May 2016 Drivers of the Month: Direct Lease Driver of the Month,… Continue reading. May 18th, 2016 | News and Events, Wheaton World Wide Moving. FAYETTEVILLE, N.C. – A+ Moving and Storage is Wheaton World Wide Moving’s Agent of the Month for April 2016. The… Continue reading.